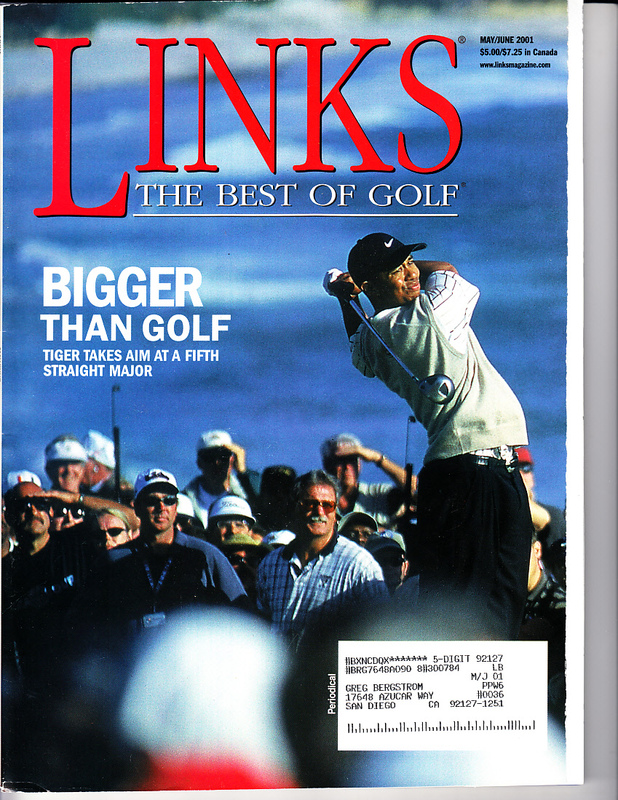 May/June 2001 issue of Links (The Best of Golf) magazine featuring Tiger Woods on the cover. Has subscription address plus minor flaws/wear. ONLY ONE AVAILABLE FOR SALE.